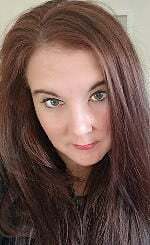 Edgerton, WI -- Bridgette "Bird" Ann Clavey, age 41, of Edgerton, died unexpectedly Monday, November 5, 2018, at Mercyhealth Hospital & Trauma Center, Janesville. She was born in Morris, IL, on April 12, 1977, the daughter of Thomas and Margaret "Midge" (Hemenway) Clavey. Bridgette graduated from Edgerton High School in 1995, and received her Bachelor's degree in Finance from UW-Milwaukee, where she was a member of the Gamma Phi Beta Sorority. Her first job out of college was working for M&I Bank, but she had also worked for HP in Madison, and was currently employed at Data Dimensions in Janesville, as she was working on her MBA. She loved travel, animals, listening to podcasts, and watching true crime shows. Bird had a fierce sense of humor, always knowing how to brighten everyone's day and she was the consummate fashionista, always spot on with her makeup and clothing styles. She is survived by her father, Tom Clavey; and brother, Levi Clavey, both of Edgerton; special great-uncle, Bob Ohlsen; special great-great-aunt, Phyllis Goede; aunts and uncles: Don (Michealene) Clavey, Ron (Jan) Clavey, Skeeter (Anita) Clavey, Carol Clavey, Annie Clavey, Jane (Doug) Burkhamer, Duff Hemenway, Crud (Barb) Hemenway, and Jackie (Buck) Reilly; as well as countless friends and cousins. She was preceded in death by her mother, Midge Clavey; and grandparents: Bob and Betty Clavey, and Neal and Audrey Hemenway.